Who should play as the number ten for Manchester United? Manchester United have changed this season, based on last season. The arrival of Jose Mourinho, Eric Bailly, Zlatan Ibrahimovic, Henrikh Mkhitaryan and Paul Pogba have gone a long way to putting United on the road they are currently on. Looking at Louis van Gaal’s United side, comparing it to the current side, seem a million miles apart and there are no wholesale changes, just yet anyway. United have depth in attack with Ibrahimovic, Anthony Martial, Memphis Depay, Wayne Rooney, Mkhitaryan, Ander Herrera and others. The defence looks stronger, even though only one defensive addition was made this summer. The midfield is certainly better than it was, and Paul Pogba was the only addition there. In making four signings, Mourinho has made United stronger, addressing the problems that were present in Van Gaal’s squad. One of the problems that need to be addressed is the number ten role in the squad, a role currently occupied by Wayne Rooney. Despite him scoring against Bournemouth and assisting for Rashford to take all three points away to Hull City last weekend, Rooney has not been the greatest number ten this season. Henrikh Mkhitaryan could occupy that role, so could Juan Mata and even Ander Herrera, although he has been given a deeper role in the side, which may become prevalent should United change their formation from 4-2-3-1 to 4-3-3, which would be working to the squad strengths, with Pogba being the guy intrinsic to the squad, which should have been the case for at least three of the last four years. United have a great amount of strength in the squad, which has given the players, manager and most importantly the supporters a boost in confidence since Mourinho replaced the Dutchman in May. Obviously, the squad at this moment in time are performing well and as Mourinho has said on a few occasions, he will not drop players who are playing well, which gives them something to aim for on the pitch, also sees those on the fringes of the first team work harder to impress, as when a player’s form falls, he should have a player ready and waiting to take advantage, then the process starts again with the competition for places boosting the players performances and giving the manager a selection headache, but a good one. All of the players want to play this season, but there are no guarantees that it is going to be the case. This will continue to bring out the best in the players as the ones that want to play will aim to impress the manager, and the ones underperforming on the pitch can easily be replaced with a player able to take the task in hand. During this month when the UEFA Europa League and the EFL Cup commence for United, more players will start to play, meaning competition for places will start. The club captain has played in the number ten role for much of his career at the club. No longer a player who could lead the line, and maybe too good to play in midfield. Rooney is a player that many criticise at the moment in time, including me. I just do not feel he is the best option for the position, but the manager rates him and so do some of his teammates. Rooney has achieved a lot at the club, is nearly the top scorer and has achieved the top scorer and most capped outfield player for England. I think he has been treated fairly by the club but may not have treated the club as fairly in the past, which is one of the reasons many do not like him being at the club. It does seem that he is an undroppable figure at the club, no matter how badly he plays. He has been fortunate to score a goal and assist a crucial goal this season already, which gives the manager something to keep him on the side, but as for the number ten position, I feel there could be a better option out there. The Spaniard was once sold by Jose Mourinho at Chelsea, which fuelled rumours the same thing was going to happen this summer, but it didn’t. It would seem that Mourinho needed the money and Mata was a player that could bring in the money and a player that at the time, was not the first name on the team sheet at Chelsea. The Portuguese has not sold him yet and has given him the chance at United so far this season, so there is nothing to suggest he will be sold again. With the talent at the club this season, his game time may be limited, but that could be said for all of the players this season. Mata is a number ten. He’s not quick on his feet, which may give him a disadvantage, but he has the football brain to make up for that. He’s a great option in the number ten role, which I feel suits him the most, but so far, the right-wing seems to be a position he has occupied. In order to play Mata in this role, dropping Rooney will be key, which may be rare at the point in the season, but United do need to find something that works, allows all attacking players to work together and can devastate the opposition. The Armenian may be a risk for the derby this weekend, but he is a player that United have needed for some time now. Mkhitaryan was purchased from Borussia Dortmund this summer for a bargain £26 million, which has been one of the best signings at the club this season. The Armenian can play in the number ten role, but playing on the left or right-wing seems to be the reason he has been brought in by the manager. Mkhitaryan has pace, the footballing skills to get the better of his man and the brain to think ahead and get the better of his opposition. With a player like Zlatan Ibrahimovic ahead of him, Mkhitaryan is a bonus as in the Bundesliga last season he assisted the most goals, which is something he could reproduce in the Premier League this season. Seldom played so far this season, something Mourinho has addressed more than once, I feel he is just another option for the number ten role, but maybe suited out on the right-wing, with Mata or Rooney so far head to head for the number ten position. Jesse Lingard is a player that was utilised on the right-wing last season, much of the time at least. He was also played in the number ten role, and had played well in that position. He may not be a frontrunner for that role, but he certainly is an option. Mourinho rates the Manchester man and seems to be happy with what he has given to the club so far this season. Injury struck, which has kept his out for a period of time, be he has been back in training ahead of the Hull City match and throughout the international break, which should mean he is ready to return ahead of a busy month for United, which could see him play in any of the three competitions United will play in this month. Ander Herrera is a player that last season was allowed to play in different roles in midfield, the number ten position one of them. It may not be his best position, but being pacey and having the mind to play in an advanced role is a big thumbs-up for the Spaniard. Herrera spoke earlier in the season about the deeper role he has been readied for this season, which could be when United change their formation to 4-3-3, which seems to be on the cards, for some matches at least. Herrera again may not be a first choice for the number ten role, but it is a role he has played recently and not been all that bad in. It adds to the options Mourinho has for his players this season and certainly shows how strong the squad is, as for each position there are two or three names to consider, which give some great strength-in-depth. The number ten role has a lot to be considered for it to work. 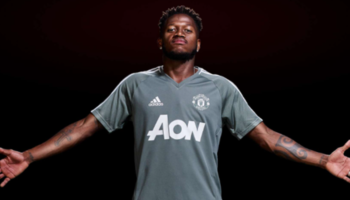 The player picked will need to perform in that role, plus they will need to work with the players ahead of him; Zlatan Ibrahimovic, Wayne Rooney, or Marcus Rashford, the players to the left and right; Anthony Martial, Juan Mata, Memphis Depay, Jesse Lingard, or Henrikh Mkhitaryan and the players immediately behind; Paul Pogba, Marouane Fellaini, Morgan Schneiderlin, Michael Carrick or Ander Herrera. The options seem to be endless, which should never give the opposition something to bank on with the squad likely to change from match to match, as it will this month. FullTimeDEVILS had a debate a few days ago regarding the number ten role, who should play it and why. It is worth watching. Juventus keen on Anthony Martial, apparently met his agent but the facts seem to be incorrect!